In this postcard from the early sixties (?) 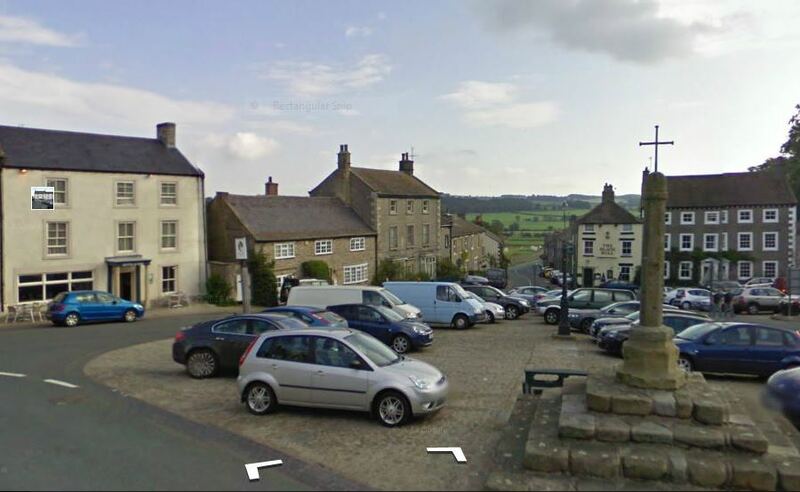 we can see a couple of men apparently rebuilding the base of the celtic cross in Market Square, Middleham, but when we view the place today on Google Street View there’s just a simple iron cross. Strange. Much else has changed too of course. One Herald and one Imp back in the day. 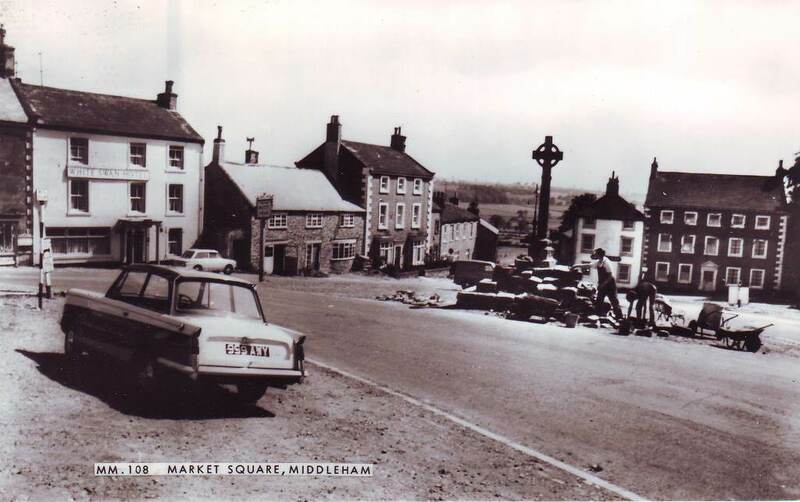 Now the whole square seems to be a car park. MG enjoys the sea air.